Rich Mavoko recently quit Wasafi Records after Tanzania’s music board BASATA intervened. The ‘Ibaki Story’ hit maker sensationally claimed WCB was fleecing him through the contract he signed with them. Rich Mavoko signed a contract with WCB in June 2016, the singer was previously signed by Kenyan record label Kaka Empire. Mavoko finally quit WCB on 9th August after he sought the help of BASATA. 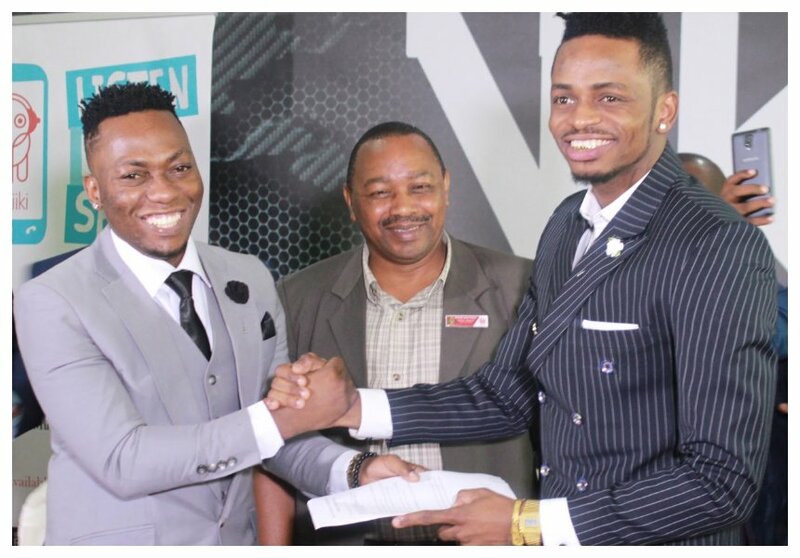 The music and art regulatory body also summoned Diamond and Wasafi management to its office. Diamond and his managers Babu Tale, Sallam SK Mendez and Mkubwa Fella showed up at BASATA office on Tuesday August 14th. After the meeting with Diamond and his managers, BASATA resorted to hold a joint meeting between the two warring parties – Wasafi and Rich Mavoko at a later date. In an interview with the press after the meeting, Sallam SK said BASATA should explain to the public what is happening and not WCB.